According to the incident report, a woman told Atlanta police in February 2018 that she had been sexually assaulted by Gotsis in March 2013, back when he was a member of the Georgia Tech football team. The D.A.’s office originally said that they would decide whether or not to file formal criminal charges within 90 days, but the investigation stretched to over five months. 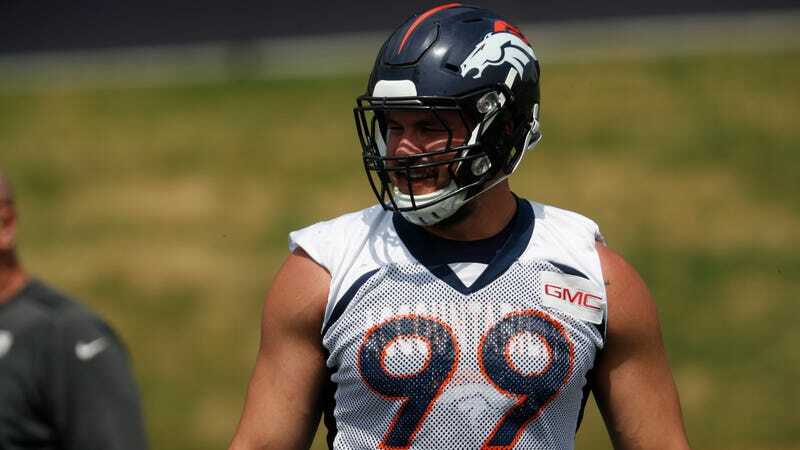 Gotsis, who said through his attorney at the time of his arrest that the allegations were false, was a second-round pick by the Broncos in 2016. He was a regular starter in 2017, and he participated in training camp throughout the investigation.